Dr. Jeff Ranta, a native of Colorado Springs, graduated with a bachelor's of science degree in Biochemistry from Lewis and Clark College in Portland, Oregon. He then continued studying locally at U.C.C.S., toward a master's degree in Science. Dr. Ranta then went on to receive his D.M.D. degree at Tufts University School of Dental Medicine in Boston, Massachusetts. In 2001, Dr. "Jeff" joined his father's practice, Widefield Dental Group, which is now Mesa Ridge Dental, here in Fountain, Colorado. While in college and graduate school, Dr. Ranta pursued his love for teaching by tutoring math and sciences to students with various learning disabilities. He also tutored grade school students in reading and math as well as being an active member of the Portland community, participating in programs for tutoring and building self-esteem in children with learning disabilities such as dyslexia. Also during college, Dr. Ranta pursued his passion for ski racing and qualified for the junior national team his freshman year. Dr. Ranta is proud to say he has not missed a season since he learned to ski at the age of two! Dr. Ranta also enjoys many of the other outdoor activities that Colorado has to offer. During the summer of his freshman year in dental school, Dr. Ranta worked at Medicity in Turku, Finland doing cancer research for the University of Turku Dental School. He was one of the first people to isolate and identify DNA from the H.P.V. virus from human oral cancer biopsy specimens. This research helped to eventually find the link between H.P.V. virus and oral cancer. Since practicing dentistry in Colorado, Dr. Ranta has been an active member of the Colorado Springs Dental Society. He served as President of the Dental Society during the 2014-2015 session. He then served as Immediate Past President, and continues to sit on the Board of Directors serving the dental community. He has also served as a delegate at the Colorado Dental Association annual meetings. Dr. Jeff Ranta enjoys all areas of dentistry and has continued his post-graduate education in all areas of dentistry in the form of many hours of continuing education. During 2011-2012 he completed an intensive year-long maxi-course in Implant Dentistry, accredited by the American Academy of Implant Dentistry (AAID). After taking the 300 hour course of hands-on and classroom education in both the surgical and restorative stages of implant dentistry, he successfully passed the written part of the Associate Fellow board examination making him an academic associate fellow of the AAID. 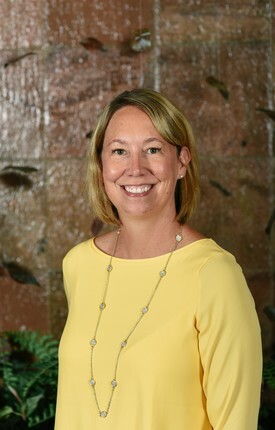 Dr. Candace Pfister is a Colorado native, who grew up in Lakewood, Colorado. After completing her undergraduate degree (B.A.) at the University of Colorado at Boulder, Dr. Pfister received her Doctorate of Dental Medicine (D.M.D.) from Tufts University School of Dental Medicine in Boston, MA. After receiving her doctorate, Dr. Pfister returned to Colorado and joined her fellow classmate, Dr. Jeff Ranta, at Mesa Ridge Dental. Providing her patients with individualized care in a warm and caring environment is her goal. She loves helping patients of all ages achieve the most beautiful smile possible. Dr. Pfister continues her postgraduate studies in all areas of dentistry including cosmetic and sedation dentistry. Dr. Pfister is an active member of the American Dental Association, Colorado Dental Association and the Colorado Springs Dental Society. She is the managing dentist at Mesa Ridge Dental. Dr. Pfister is married to Dr. Reposa, whom she also met in dental school. Together they have two wonderful children who keep them very busy. In her "free" time she enjoys volunteering at her childrens school, yoga, and all of the outdoor activities this wonderful state offers. 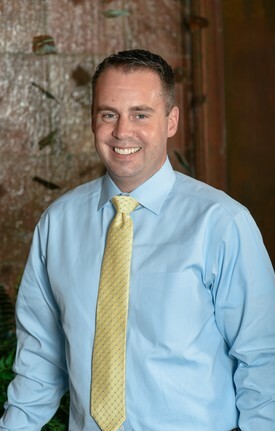 Dr. Ryan Reposa is from Attleboro, Massachusetts. He was one of eight high school students accepted nationwide into the Adelphi University-Tufts University Joint Degree Dental Program. This seven year advanced program earned Dr. Reposa a Bachelor of Science degree in Biology from Adelphi University in Garden City, New York and his D.M.D. from Tufts University School of Dental Medicine in Boston, Massachusetts. 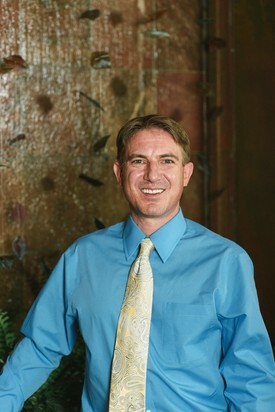 After attaining his degree in 2001, Dr. Reposa joined the United States Air Force and served at the United States Air Force Academy, Peterson Air Force Base, Schriever Air Force Base, and Cheyenne Mountain Air Station dental clinics. In 2005, Dr. Reposa joined the Mesa Ridge Dental Team with his classmates Candace Pfister and Jeff Ranta. He continues his postdoctoral studies in all areas of dentistry. He completed the intensive yearlong study in implant dentistry with the American Academy of Implant Dentistry (AAID) Maxi-Course. After taking over 300 hours of classroom and hands on courses in both the surgical and restorative stages of implant dentistry he successfully completed the written AAID examination. He also completed all coursework necessary to practice Sedation Dentistry in Colorado. Dr. Reposa is an active member of the American Dental Association, Colorado Dental Association and the Colorado Springs Dental Society. He is married to his former classmate and partner, Candace Pfister. Together they have two beautiful children. Dr. Reposa enjoys running.